Enterprise manager allows you to do that. You can add multiple backup servers and it will give you a global overview. However, it also acts like a license manager. So if you have different customers, with different licenses, you can not add them all together in one Enterprise manager. A way around it would be to create some Restful API integration. That would be the cleanest way to do it in my humble opinion. 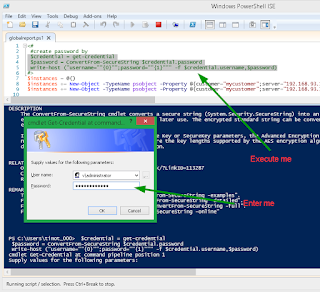 However if you want to have a quick hack, you can also do it by using Powershell. Just launch a remote session to all those backups servers and collect the data. Now a lot of people just need a small "sample" script, just to get started. So here is a basic "sample". It is surely not future complete and has very poor error handling. But it can get you started. So the first part defines the instances. Granted it would be cleaner to take the table, convert it to a csv, and then import it at the beginning of the script. The instances table exists out of objects that define: the customer, the backupserver, the username and then the password in an encrypted form. Not sure how to get the password in an encrypted form? Just use the code at the top to generate what you need. However make sure that the whole password doesn't have any line breaks when you copy past! If you then run the code, it should connect to all the instances, execute some Veeam PS Code, built a table and then collect it centrally. The end result? A $globaljob table, which you can then use to build a csv report, html report, one big email, etc.. Hope it can be useful to somebody as a starting point!